DeCOTEAU (Decouteau), ALEXANDER, Cree policeman, athlete, and soldier; b. 19 Nov. 1887 on the Red Pheasant Indian Reserve (Sask. ); d. unmarried 30 Oct. 1917 in Belgium. Like many members of his band, Alex DeCoteau attended the reserve day-school and then the Battleford Industrial School. Subsequently he worked as a farm-hand before moving to Edmonton, where he found employment as a blacksmith with his brother-in-law David Gilliland Latta. 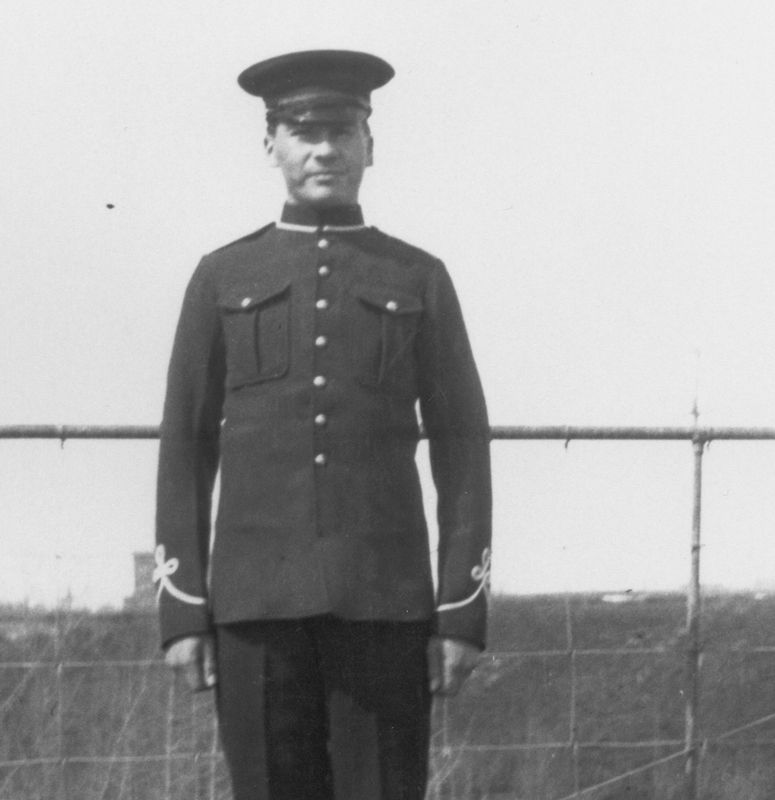 In 1909 the Edmonton City Police hired him as a constable, and he was promoted sergeant in 1914. 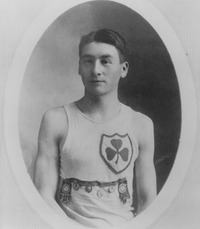 Between 1909 and 1916 there was hardly a major middle- or long-distance race in western Canada that DeCoteau did not win. In 1910, for example, he won the Calgary Herald’s Christmas Day Road Race of more than six miles. When the five-mile race for the Hon. C. W. Cross Challenge Cup was held for the sixth time in Edmonton the following year, DeCoteau achieved his fifth victory in the event. In 1912 he won the annual ten-mile race at Fort Saskatchewan for the third consecutive year. His running ability earned him a place on Canada’s Olympic team that year. He went to the games in Stockholm, where on 10 July he competed in the 5,000-metre race. Unfortunately, leg cramps restricted his effort and he finished in eighth place. This set-back did not stop him from competing once he returned to Canada. In July 1913 at the Orangemen’s celebration in Edmonton, DeCoteau won the mile race and clipped a fifth of a second off the provincial record, which he himself had set. That same month he was chosen along with his cousin Gilbert Wuttunee, whom he had trained, to represent the Edmonton City Police Amateur Athletic Association at the dominion track and field championships in Vancouver in September. He took second place in the one-mile race and Wuttunee third in the five-mile event. In 1915 “the stalwart runner from the north,” wearing gloves, stockings, and a toque pulled down over his face, won the Christmas Day race in Calgary for the second year in a row – and for an unprecedented third time. The following year, in April, DeCoteau enlisted as a private in the Canadian Expeditionary Force. He served first with the 202nd Infantry Battalion and later with the 49th. His decision to go overseas was probably influenced by the fact that in 1885 his father had fought against the Canadian militia as a follower of Poundmaker [Pŭtikwahanapiwŭyin*]. The European conflict offered DeCoteau an opportunity to win the honours only a warrior could obtain and achieve a status in the Cree community akin to that held by his father. It is safe to assume that his choice of a career in the police had been similarly motivated. After arriving in France in 1917, DeCoteau was part of the Canadian attack on Passchendaele, where he was killed on the morning of 30 October. He was buried at Ypres (Ieper), Belgium. His father had predeceased him; he was survived by his mother, Dora Pambrun, and at least one sister, Emily Latta. Many of DeCoteau’s accomplishments are recorded in the Edmonton Sports Hall of Fame, of which he was inducted a member in 1967. The Edmonton Police Museum and Archives holds a number of his personal and military trophies and awards. These include his medal for participating in the 1912 Olympics and the Calgary Herald trophy. Edmonton Police Museum and Arch., Personal and military trophies and medals awarded to DeCoteau. NA, RG 150, Acc. 1992–93/166, file 231462. Calgary Herald, 27 Dec. 1915. Edmonton Bulletin, 11 July 1912, 15 July 1913. Edmonton Journal, 13 July 1913, 13 April 1967, 12 Aug. 1985. Morning Sun (Vancouver), 8 Sept. 1913. Fred Gaffen, Forgotten soldiers (Penticton, B.C., 1985). J. W. G. MacEwan, Portraits from the plains (Toronto, 1971). James Dempsey, “DeCOTEAU, ALEXANDER,” in Dictionary of Canadian Biography, vol. 14, University of Toronto/Université Laval, 2003–, accessed April 26, 2019, http://www.biographi.ca/en/bio/decoteau_alexander_14E.html.